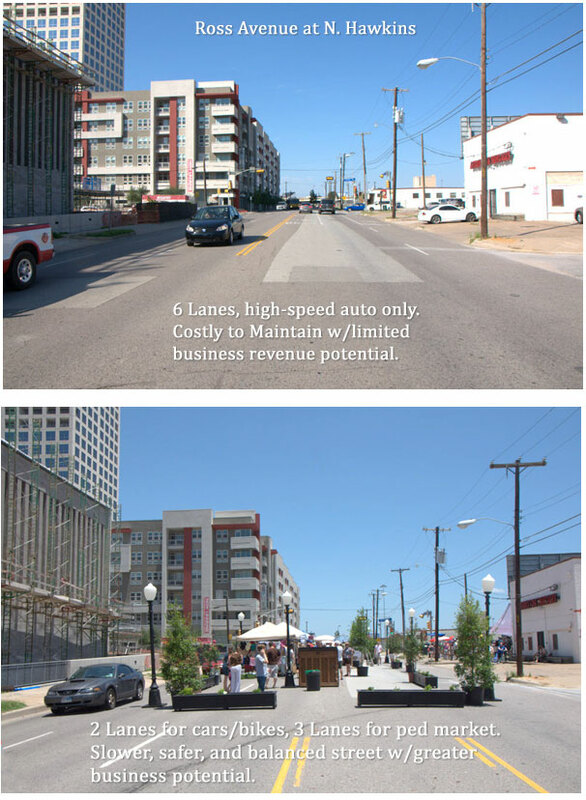 In 2011, Team Better Block in Dallas tested a median-developed public space inspired by La Rambla in Barcelona, Spain. The Dallas Morning News announced today that two-blocks of Jefferson Boulevard will now officially be transformed with a La Rambla median which will allow for small markets to be created along the center of the street. TBB is also working with Jim Lake Properties to help create smaller commercial spaces in the existing historic buildings along the 400 West Block of the street so that more small businesses will have an accessible and affordable space along the corridor. Expect to see more from this project in the near future!